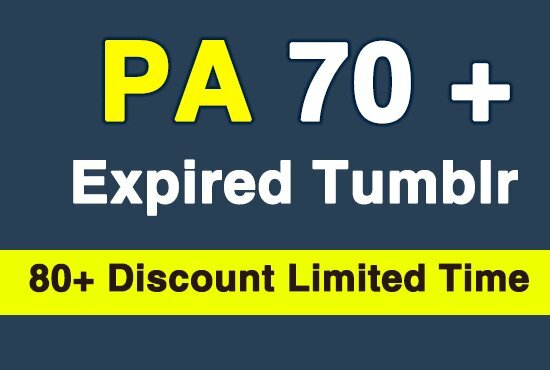 Providing cheap expired and registered Tumblrs! Expired tumblr blogs are excellent for creating PBN to boost your seo. Blogs with Page authority +70 will pass link juice directly to your site with dofollow links. 4$ price only for first 3 buyers! 1 Expired Tubmlr blogg with PA and DA +70! All blogs registered with new mail I will give you also mail accounts to all tumblrs! You will receive additionalli 5 expired tumblr bloggs with PA + 30! You will also recive tutorial how to make DOFOLLOW backlinks from expired tumblr blogs. Expired tumblrs are Seo friendly and will definitely boost you in rankings! Don't wait and boost your seo with this package! Delivery time up to 48 hours. 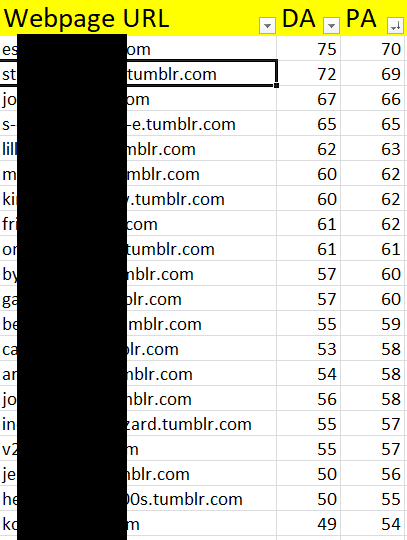 1 Expired Tumblr web 2.0 PA 70+ and 5 PA 30+ Registered is ranked 5 out of 5. Based on 1 user reviews.